Pupils included - Sophia Collin, Grace Makin, Nora Wellsman and Ivy Goodall. with 5 children boarding - William (10), Minnie (9), John (7), Ralph (5) and Eleanor (5 months) Anderson - three of the children being born in India. In 1891 Agnes Caroli from Switzerland was an Assistant Schoolmistress in Bury St. Edmunds, by 1901 she'd moved to Newmarket and was a School Mistress alongside Isabel Diver, both running a girls school in Fairlawn (though the name Fairlawn is not shown on the census). 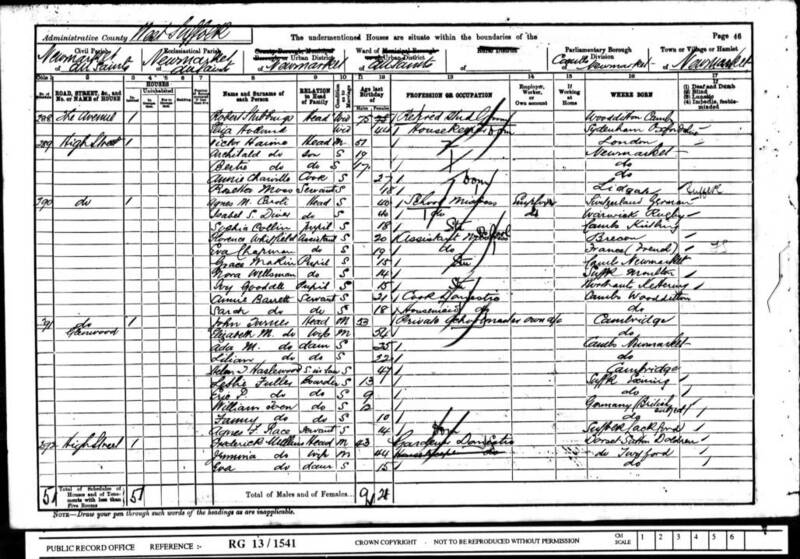 This pair of principals were still shown there in 1904, but on the 1911 census neither they nor any pupils are listed, just caretaker Frederick Eaves from Saxmunham, his wife Emma and son (another Frederick) living there. A few years later in 1916 Miss Gertude Hardwicke is shown in Kelly's Directory running Fairlawn Girls School. Gertrude (Gertie) Mary Hardwicke (b. 1876) and Mabel (May) Annie Hardwicke (b. 1874) were two sisters and devout spinsters that came from Bury St.Edmunds. They both lived into their 90s. 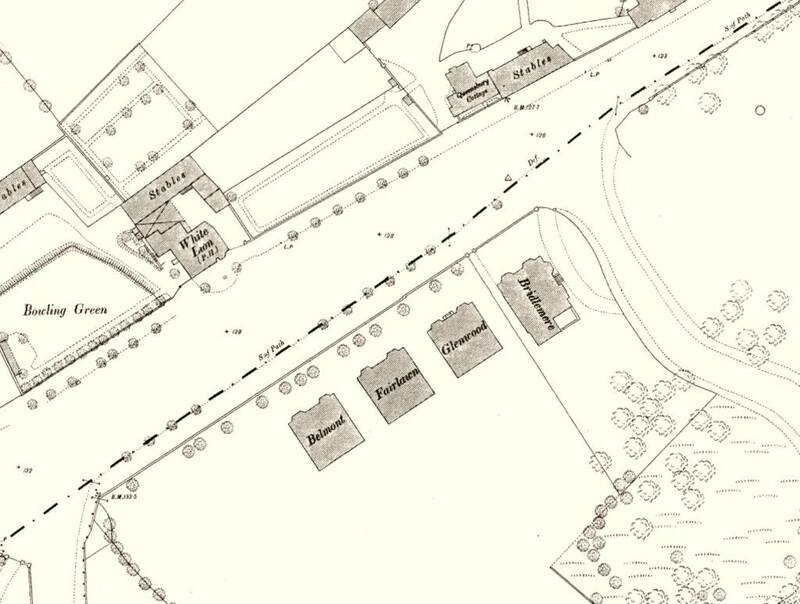 Previously in 1911 Mabel was already in Newmarket running a girl's school in Alicia House - which was across the other side of the road from Fairlawn just to the left of what is now Heath Garage. In the same year Gertrude was still living with her father Ezra John Hardwicke in 4 Cornhill, Bury St. Edmunds (now a Chinese restaurant) - he was a surgeon (doctor) M.R.C.P.(Eng). In around 1930 the jockey Henri Jelliss lived next door in Glenwood, his daughter Angela Gladys Jelliss attended the school at Fairlawn - further details about her can be found on the page for Glenwood. By The Girls Of Fairlawn School. As recounted by Geoffrey, in later years Fairlawn became co-educational, admitting both girls and boys - both he and his wife, Sue (nee Day) went to Fairlawn in the mid to late 1940s. Geoffrey left in 1949, he remembers the Misses Hardwicke - Gertie and May - and also other teachers - Miss Howfield, Miss Winter, Mlle Raymond and Miss Bell. At this time Sue's family lived two doors along in Bridlemere.